The Webster University School of Education is completing its second year of a five-year, $2.7 million National Professional Development (NPD) grant from the U.S. Department of Education’s Office of English Language Acquisition in a project titled “Increasing Teacher Capacity through Communities of Practice to Serve English Learners.” On April 6, 22 teachers from the first two cohorts will present their group projects. 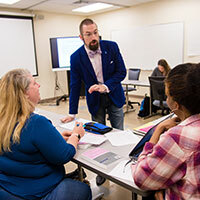 Webster University was awarded a $124,000 National Science Foundation Noyce Capacity-Building grant to encourage talented science, technology, engineering and math (STEM) majors to become math and science teachers in high-need Missouri K-12 schools, addressing a critical need in the state. Brenda Fyfe, dean emeritus in the Webster University School of Education, and Michael Scully, regional president of PNC Bank, co-authored an op/ed in the St. Louis Post-Dispatch on the importance of investing in high-quality early childhood education, of which there is a shortage in the region. 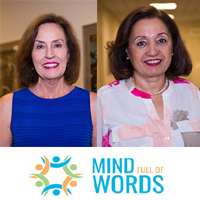 Through a grant from the PNC Foundation, the Mind Full of Words program in the School of Education works with community partners to help low-income families build vocabulary among young children. 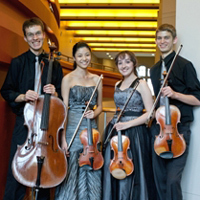 The Community Music School of Webster University is receiving a $15,000 grant for its Preparatory Program as part of the National Endowment for the Arts' first major funding announcement for fiscal year 2018. The Art Works category is the NEA’s largest funding category and supports projects that focus on the creation of art that meets the highest standards of excellence, public engagement with diverse and excellent art, lifelong learning in the arts, and/or the strengthening of communities through the arts. The Office of the Provost is pleased to announce the 22 recipients and 18 projects of the 2018 Faculty Research Grants. 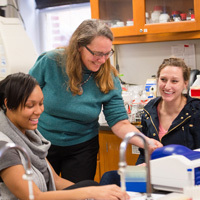 The awards will fund faculty research and professional development activities which will advance academic excellence for the individual faculty members and for Webster University. The Office of the Provost and the Office of Academic Affairs are now accepting applications for Faculty Research Grants for the 2018-19 academic year. 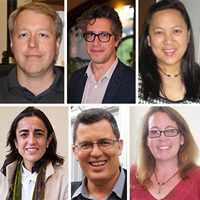 The purpose of the Faculty Research Grant program is to encourage and promote faculty research and professional development. Grant applications are invited for scholarly research, academic projects, artistic performances, exhibitions and studies in any discipline. Proposals that might lead to external funding are encouraged. The deadline is Friday, Nov. 3. 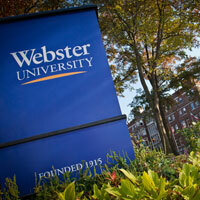 Webster University was awarded a grant for the Nursing Department, it was announced Tuesday. 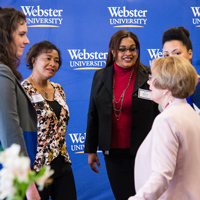 Webster will receive $112,013 from the Missouri Department of Higher Education and the Missouri Board of Nursing through the Nursing Education Incentive Grant program. 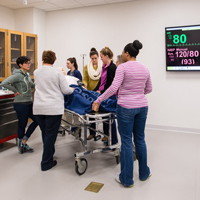 Webster will use the grant to purchase a patient simulator to further enhance Webster’s Master’s of Science in Nursing program. The University received more than $1 million in grants for faculty research and student scholarships. Webster University is one of four institutions worldwide and one of only two in the United States to receive the NIH Biomedical/Biobehavioral Research Administration Development grant in this current round of funding. Webster also is one of only five colleges in Missouri to receive grants from both the NIH and NSF this year. This is the first time Webster University has received a grant from the NIH, while the grant from the NSF is the largest it has ever awarded the University.